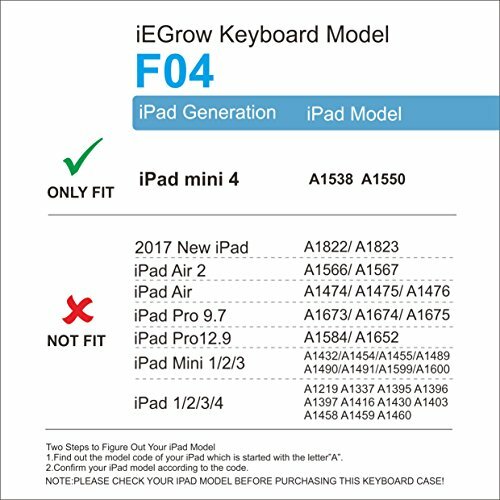 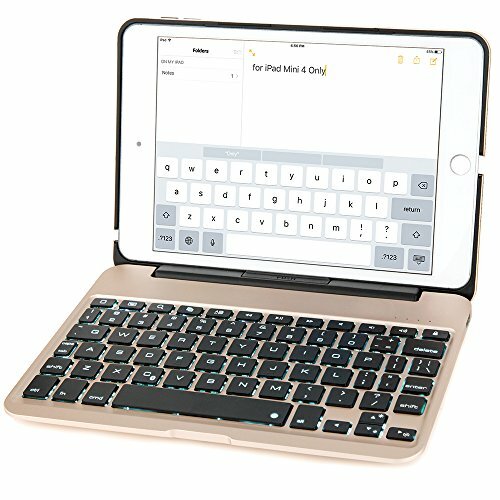 This iPad Mini 4 Bluetooth Keyboard Case makes your iPad mini 4 more than a touch-screen tablet. 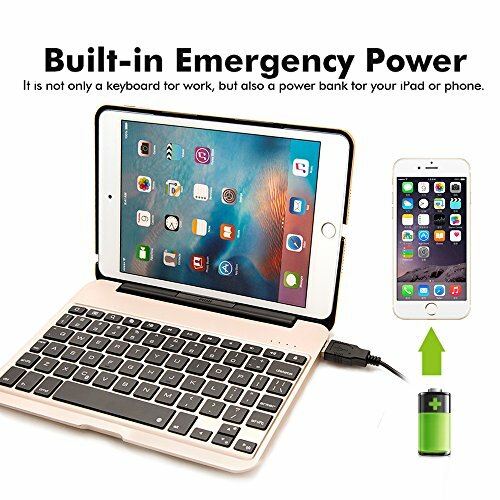 Just pair it with your iPad and enjoy your new MacBook. 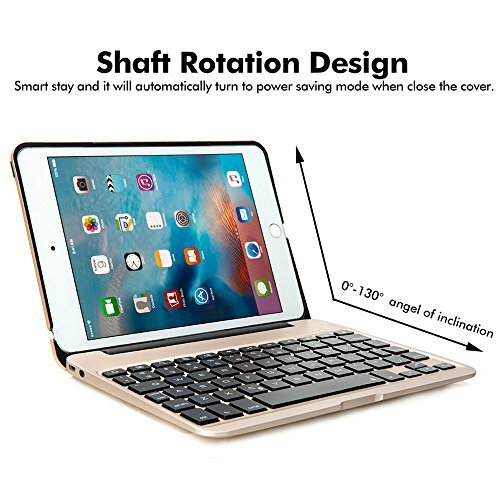 Made of high standard aluminum alloy material, totally aluminum alloy iPad mini 4 case. 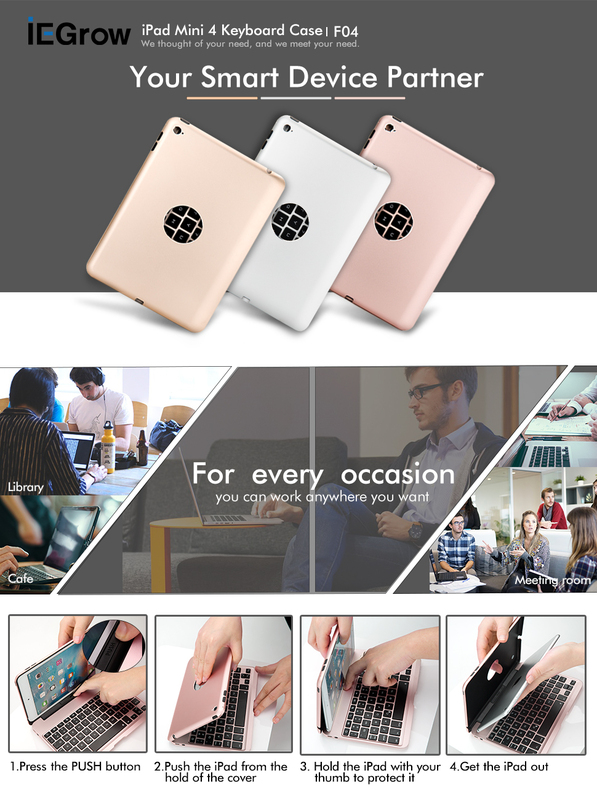 Powerful capacity power bank, with 2800mah capacity power bank, can charge for your iPad mini 4, mobile phone, tablets and other device. 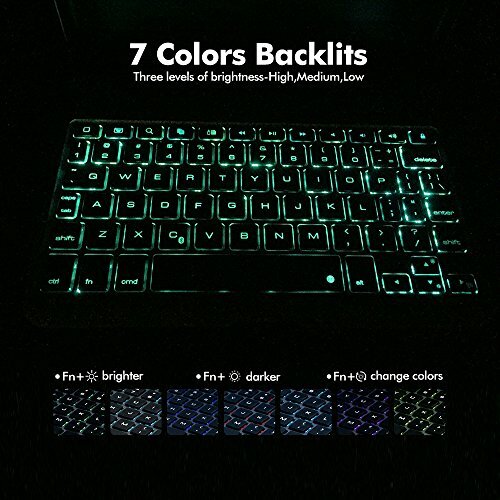 Note:Please use the ‘Fn+→’ to change the color, ‘Fn+↑’ to turn on or brighter the backlighting, ‘Fn+↓’ to turn off or daker the backlighting. 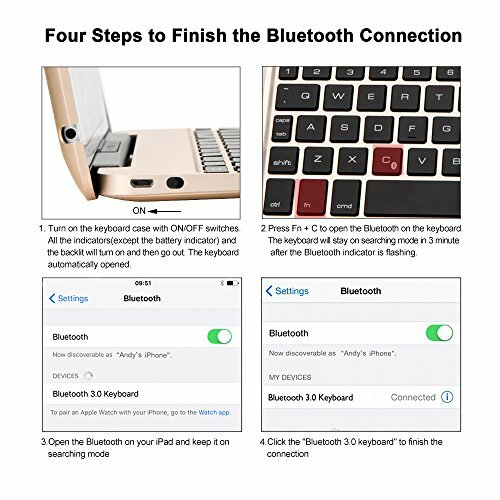 Special function keys help you get more done from the convenience of your mini 4 keyboard.